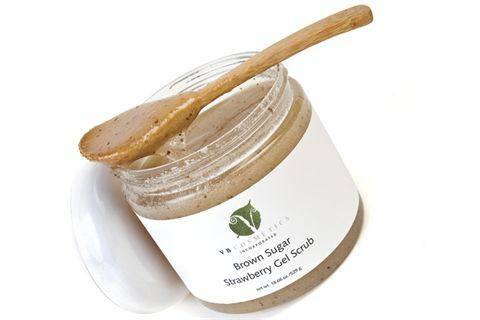 It’s always strawberry season when you have VB Cosmetics’ Brown Sugar Strawberry Gel Scrub. The fresh strawberry scent exudes from the scrub, which uses real strawberry seeds and brown sugar crystals to help exfoliate and cleanse, and the aloe vera and green tea extracts help hydrate and nourish the skin, leaving it soft and smooth. For more information, visit VB Cosmetics.